Siberia is the most forest-rich part of Russia. The question about the destruction of the Siberian forests was however raised already in the 19th century. Nowadays it can be said that the accessible forest areas of the region have been logged through several times and that, in principle, these forests have lost their natural appearance. The remaining intact forests have been preserved from intensive management only because of the lack of forest roads, and not as a consequence of active governmental forest policies. Siberian Environmental Center strives for this kind of approach to forest use and management. Such conditions should be created that the management of the forest resources would allow the conservation of biodiversity and of the biosphere functions of the forests. It must be understood that the model of extensive use of forests exhausts itself, whereas sensible forest management implies active regeneration of the forest resources. The task of the Forest Programme is to promote the conservation of the species and biotype richness of the forests, the rational and sustainable use of the forest resources and the development of up-to-date ecological education. We organize expeditions in order to find and describe intact and biologically valuable forest areas with the view of their further conservation, and raids to fight the forest fires. Within the framework of ‘Development of forest education in Russian schools’ we widen the participation of schools of the Southern Siberia in the regeneration and study of forests, and attract active teachers and pupils to join the ‘Forest Protectors’ network that functions within the all-Russian ‘We Revive Our Forest’ movement (application form to join the network, in Russian). Travel in the benefit of nature! On 7 July, Sibecocenter started a new project, ‘Ecotrek’. The project encourages those, who are interested in active tourism in the nature, to combine their recreation activities with study of the regions’ most remarkable and valuable natural sites and of any aspects that might be threatening them. Sibecocenter, initiator of the project, and the main company-sponsor, AlpIndustry-Sibir, believe that no less than 100 people will take part in this public ecological monitoring initiative. The six most active participants will receive vouchers, with which they can obtain outdoors tourism clothing and equipment of the worth of 5000 rubles. On 19 June, the leading non-governmental environmental organizations of the Novosibirsk oblast sent an open letter to the oblast’s Governor. The matter at hand is the demolition in March 2009 of a council that had been initiated by the environmental groups and created by the regional administration few years prior, to address issues of radiation security, environmental conservation and rational natural resource use. Despite the anxiety felt by the oblast’s inhabitants about environmental problems and the increasing interest of people to defend their right to healthy and safe environment, Novosibirsk oblast still lacks civilized forums for public participation in solving questions concerning nature conservation and environmental protection. Modern information technology can help conserve nature and is available even for school children. A new project ‘Ecomonitor’, run by Sibecocenter and materially supported by the company Intel, is based especially on these ideas. On 16-18th January 2009, in a children’s camp close to Novosibirsk, participants of the regional network ‘Forest Guardians’ gathered for the third annual Winter Meeting for summing up the past year. The meeting was organized by Sibecocenter, Ecoclub of the Novosibirsk state university, Geblerov Ecological Society and ecoclub ‘Under the open sky’ (Altai province). ‘Forest Guardians’ is a South Siberian branch of the movement ‘We revive our forest’, initiated by Greenpeace Russia in 2004. 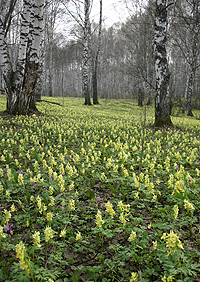 The Novosibirsk Oblast Forest Plan, which will soon be assessed in the Federal Forest Agency, poses a threat to a natural object of significant ecological and national importance; the Vasyugansk massif of bogs and forests. This is due to the illegal exclusion from the Forest Plan of the category of ‘reserve forests’, by a Moscow-based firm ‘Rosgiproles’. In connection to this shortcoming, Sibecocenter addressed a letter of complaint to the governor of the Novosibirsk Oblast, Viktor Tolokonskii, and the head of Oblast’s Department of Natural Resources and Environmental Protection, Aleksei Petrik.